Canada Post just released some hockey stamps on Tuesday (Sep. 3, 2013). 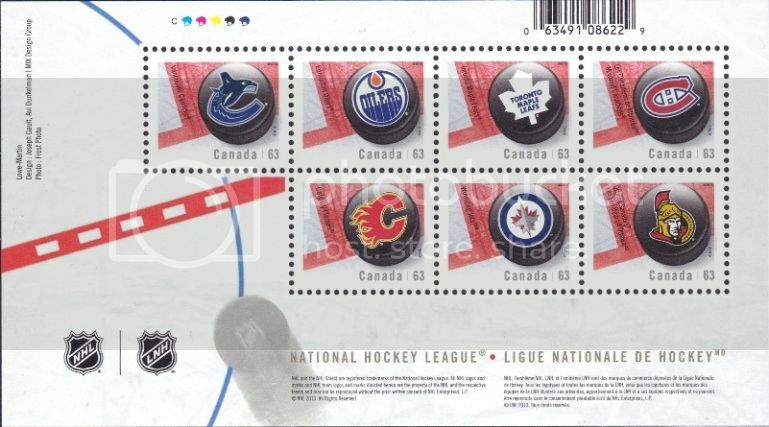 There are booklets of stamps for each of the Canadian NHL teams. I picked up this souvenir sheet showing pucks with logos of the seven Canadian teams. Canada Post hasn't even put any information about this series on their website yet. Cover is signed by Bobby Hull. Sheet is signed by Bobby Hull.